Kate Ludeman is a widely recognized executive coach, speaker and author. In 1988, Kate founded Worth Ethic Corporation. Her BS in engineering and PhD in psychology give her a unique approach when working with analytical, data-oriented executives who want to expand their emotional intelligence and create company cultures where people perform at their highest potential. With 20 years of experience, Kate has worked with over 1,000 senior executives in a wide range of industries. She has coached CEOs, presidents and vice presidents in Europe, Asia, Australia and South America as well as the United States. Previously, she was Vice President of Human Resources for a high-tech Silicon Valley company. In 1999, Kate was a featured speaker at the Fortune Magazine Summit of the Best and Most Admired Companies. In 1998, Worth Ethic was ranked on Inc. Magazine’s List of 500 Fastest Growing Companies, and Executive Women International honored Kate with the Ma Ferguson Award for Excellence in Business. Her fourth book, Radical Change, Radical Results was released in May, 2003. Her previous books include The Worth Ethic, Earn What Youýre Worth, and The Corporate Mystic, now in its eighth printing. Kate has written articles for Harvard Business Review, the New York Times and dozens of business publications. In 1991-1992, Kate wrote and filmed Work-Wise, a weekly TV column for a news show aired by San Francisco’s ABC affiliate, which was nominated for an Emmy. Kate has appeared on more than 100 television and radio programs and hosted a portion of “Good Morning, Dallas” for a year. 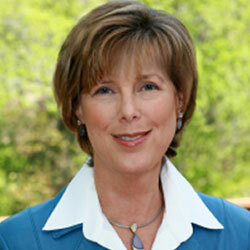 To read more about Dr.Ludeman, visit her personal site.